Adler & Allan offer two ways for prospective customers to see our leading technologies and innovations in action: Technical Innovation Centre days and mobile demo visits. 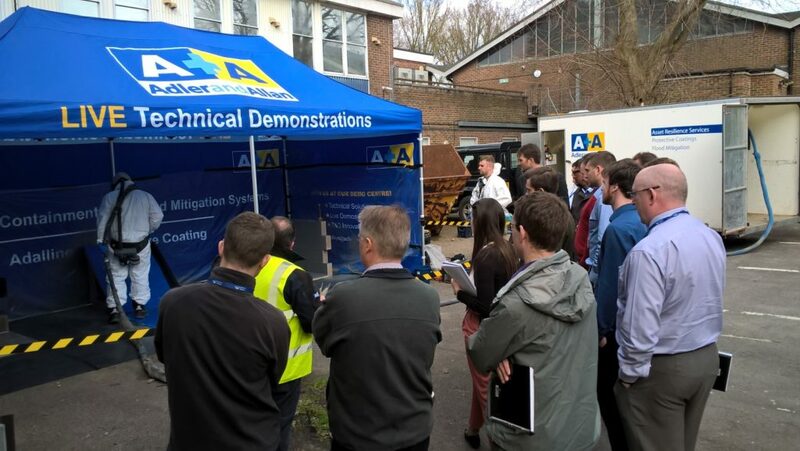 Held at our national Technical Innovation Centre in Eynsham, we hold multiple demonstration days each year, allowing visitors to experience a selection of our innovations in practice. Our purpose built mobile demo trailer allows us to make personalised visits to organisations looking for innovative engineering solutions. If you and your colleagues would like to book a visit from our team of resilience experts, simply fill in the form below and we’ll get back to you as soon as possible.